Wading through the hundreds if not thousands of HVAC units available is stressful. For every brand there are dozens of models, price points, features, options and bells and whistles that seem to go on and on. In order to narrow down the search for a trustworthy brand, we want to help you learn about the brand Daikin. They’re a well-known, often-recommended brand with great customer service. They also produce some of the most reliable AC units on the market. Daikin has been in the North American market since 2004. But their impact on the HVAC world dates as far back as 1951 when they produced Japan’s first air conditioning unit. They are currently a sister company of Carrier in the US, another top name HVAC brand. There are many reasons to opt for a Daikin unit. Perhaps the biggest draw is the fact that Daikin has long been a leader in state-of-the-art HVAC design. One technology that is creeping up as a technological standard in AC units is something known as VRF (or VRV) technology. VRF/VRV stand for Variable Refrigerant Flow or Variable Refrigerant Volume. VRF is a somewhat-complicated system that is designed to reduce power consumption and increase AC efficiency. It allows for a system that relies on refrigerant rather than using refrigerant to heat water. One of the main benefits of VRF is an improvement in energy efficiency. Efficiency is held to a high standard by Daikin, with their highest level unit reaching a 24.5 SEER rating. At an affordable price, Daikin has found a number of ways to increase efficiency without bumping up prices. Daikin is one of the few companies that offer a long-lasting warranty standard on every unit. The standard Daikin warranty is 12 years. 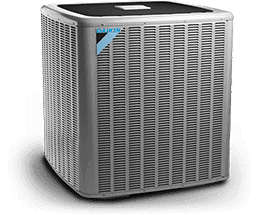 The warranty covers many of the highest-risk parts over the lifetime of your AC unit. Just remember to register for your warranty within the 60-day window after your purchase! While Daikin is an excellent company, there are some things to be aware of. Daikin is generally known for good customer service, but the story is a bit different at the international level. Since Daikin is a Japanese company, customers may end up in “international waters." This may be frustrating when trying to solve problems. Daikin’s long-lasting warranty is mostly excellent. But it’s worth knowing that it only covers the cost of replacement parts, not the labor for repairs. Let's have a look at some of Daikin's top models across a range of price points. The DX12SN is a 13-SEER, single-stage AC unit. This is part of Daikin’s “nominal” line, making it an excellent low-cost unit. It is rated at a 3-ton capacity. Depending on the model, you can get a cooling capacity of 18,000 BTU/h to 56,000 BTU/h. The unit runs at an average of 72 dB making it relatively quiet for the level of power it has. Daikin’s DX13SA is another 13-SEER, single-stage unit that adds extra features not available on the DX13SN. This unit boasts a foam compressor sound blanket which reduces the volume to an average of just under 70 dB. It also has Copeland CoreSense, an internal computer which tracks potential errors. It works like your car’s computer, giving codes that a tech can work from. The DX14SA packs 14 SEER into the same compact, low-volume design of the other DXS models. It has the Copeland CoreSense feature and high-density foam compressor blanket in a single-stage unit. This unit is rated for 18,000 to 30,000 BTU/hr of cooling. The DX16SA is the lowest-cost Daikin unit to have Energy Star partner status because it is highly efficient at 16 SEER. It is rated as high as 57,000 BTU/hr for improved cooling. Part of what makes it so efficient is its patented scroll compressor from Copeland. This unit is the highest efficiency of Daikin’s “standard” line (indicated by the S in the unit number). 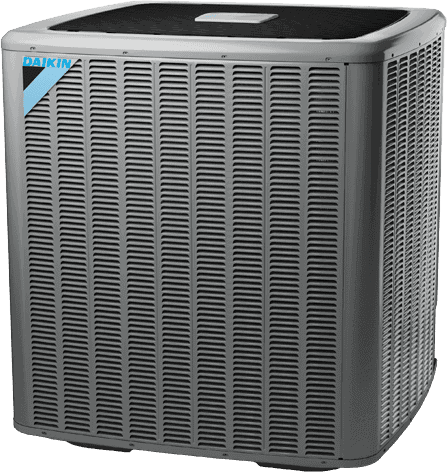 The DX16TC is Daikin’s lowest-cost two-stage system. It is rated for 16-SEER like the DX16SA but contains some features not available in lower-cost models. These features include compatibility with ComfortNet, a smart-home AC control system; extended diagnostic info; and greater power from the unit. The DX16TC is rated for 24,000 to 60,000 BTU/hr. Daikin’s DX18TC expands on the features available in the DX16TC with even higher efficiency. While the model number indicates the unit is rated 18 SEER, the manual actually indicates this unit can function as high as 19 SEER. Across the 3 models available, this unit, at 3 tons, can cool between 35,000 BTU/hr and 57,000 BTU/hr. 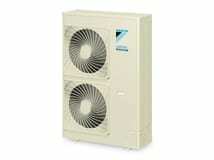 This unit is Daikin’s highest-efficiency split system AC, handling between 2 and 5 tons at 20 SEER. Unlike the models above, this is a variable-speed system. It has the other high-end Daikin features such as expanded diagnostic info, the patented variable speed system, and a safe, chlorine-free refrigerant. 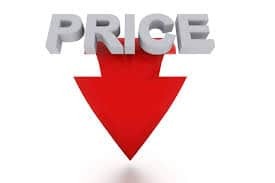 The cost of a new AC system can feel overwhelming, but finding the right price isn’t always a challenge. Here are a few tips for making sure the price is right. First and foremost, don’t give up quality for a lower price. When finding a contractor to install your unit, a cheap quote may be enticing. But do your homework on the people making the bid! Daikin warranties explicitly do not cover damage incurred by improper installation. Low-bidding contractors tend to have low-bid methods when it comes time to install. Second, if you can - buy in the fall or winter! Kind of like seasonal clothing, AC units have a definite off-season. Companies often run specials to keep inventory moving during the winter months. When other people aren’t thinking of anything but their home heater, the time is ripe for deals. Contractors will also drop prices in the winter so that they continue to get business in slow months. As an addition to the last two points, when getting bids, always take at least 3 bids. More quotes means you’re likely to find a better deal. And sometimes you can even come back with a counter-offer based on someone else’s services. Finally, check for rebates, offers, and government or community incentives, especially if you’re shelling out for a high-efficiency model. So many programs at local and national levels are encouraging people to switch to higher-efficiency methods. This often means they’ll either give you a rebate or some form of discount towards your new AC model. 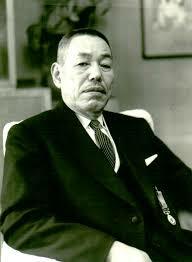 Daikin was initially founded by Akira Yamada as “Osaka Kinzoku Kogyosho” in Osaka, Japan in 1924. The company initially fashioned radiator tubes for aircraft. Beginning in 1933, Daikin began researching fluorine-based refrigerants. These developments lead to Japan’s first packaged air conditioner, produced in 1951. 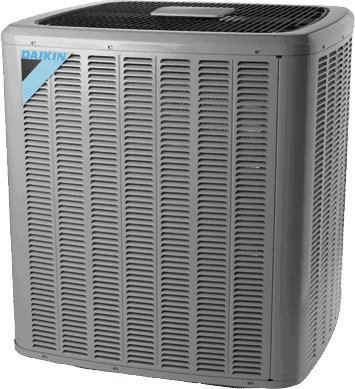 By the time the company took up the name Daikin in 1968, it had already established itself as a leader in home AC. In 2004, Daikin entered the US market as part of its international expansion. Its success led to them working alongside Carrier to begin producing new refrigerants and AC developments. It is currently a publicly traded company valued over $28 billion. Daikin’s reputation precedes it as a manufacturer of high-quality, top-of-the-line AC units. They have continued to advance technologies with the VRV units and push the envelope on reducing environmental impact. The units they have on the market cannot be beaten for home AC systems and are affordable for the level of quality they give. Daikin would be an excellent choice for just about any home situation. They have a wide range of products fit for almost every setup.